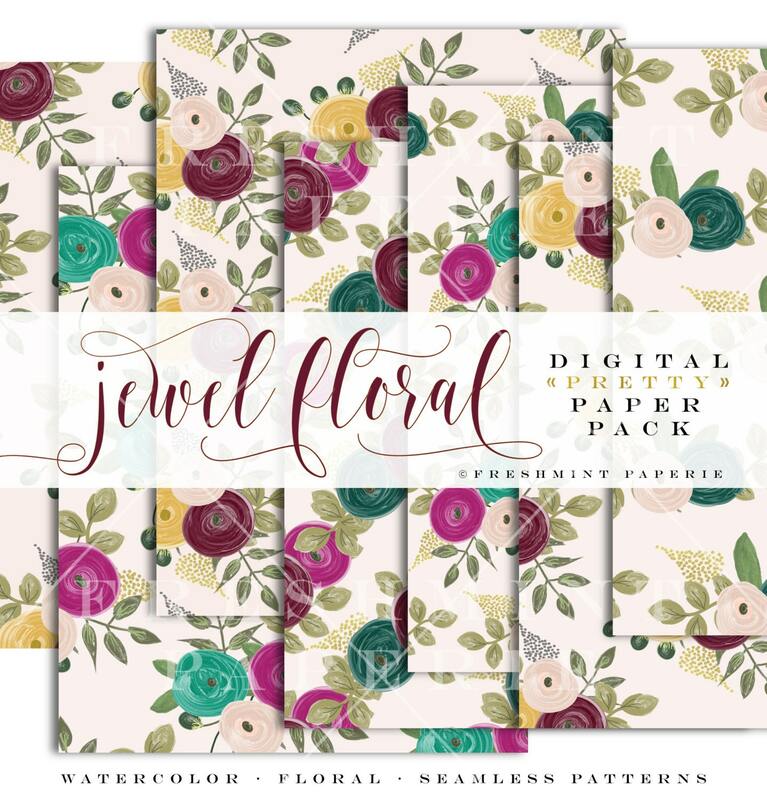 Pretty jewel tone watercolor floral digital paper pack. colors are all pictured above. Very pretty jewel toned floral patterns! GREAT ITEM. CAN'T WAIT TO TRY IT OUT.